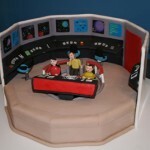 I don’t think I know any Star Trek fan that hasn’t had the dream of sitting in the captain’s chair, but few will ever get that opportunity. 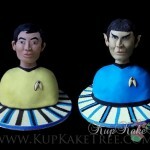 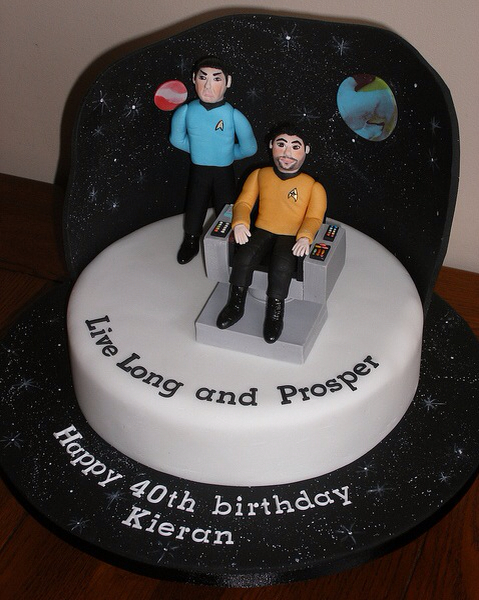 Well, Star Trek fan Kieran kind of got that opportunity in that he had a birthday cake made with a figure of him setting in the captain’s chair and Spock standing next to him. 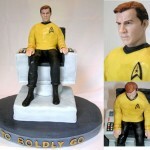 I’m not quite sure its as good as actually sitting in Kirk’s chair, but its close enough I suppose. 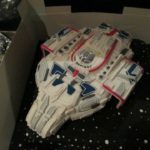 This chocolate biscuit cake was made by Bake Cake Create for Kieran’s 40th birthday and I suspect it was a happy birthday!